Anyone who uses a calculator to add up a large number of individual items may find a tape indispensable. The tape is that slovenly roll of yellowed paper that dangles off the back of an old-fashioned desk calculator. It makes it easy to check your work and find mistakes. 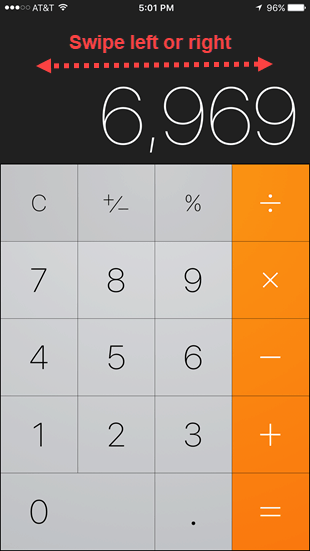 Making an input mistake on an iPhone calculator late in a calculation can be a source of anger and frustration. With no obvious way to clear your last digit (like a backspace key), you’re often left with tapping C for Clear and starting over. 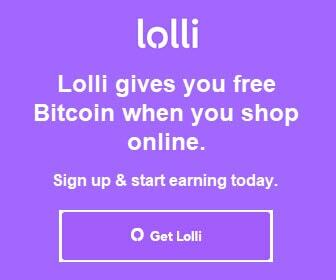 Or dusting off the real calculator. 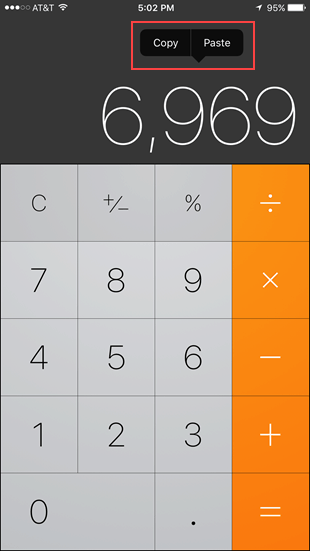 But you can backspace on your iPhone calculator app when you have a fat finger moment. 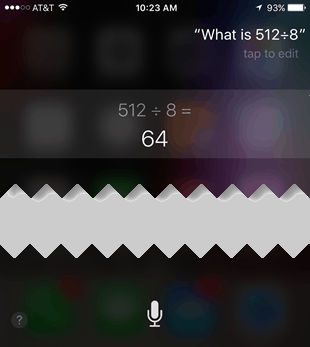 It turns out the lowly calculator app has a few more dirty little secrets. 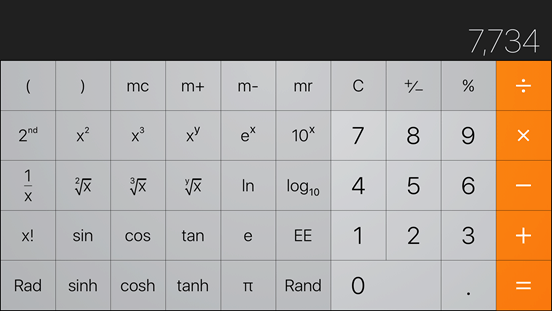 In addition to resolving your tiny keyboard aggressions, it transforms into a scientific calculator on demand, transfers your results to other apps (and vice versa), and quickly transits to your screen from the bowels of your iPhone when the urge to calculate is palpable. 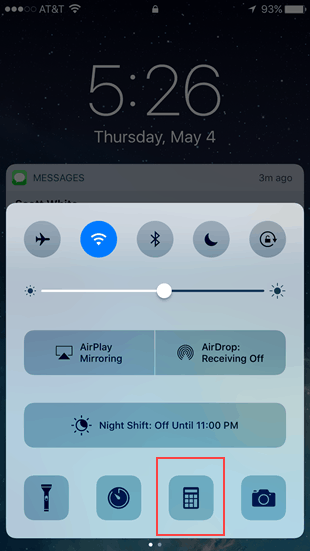 After many online claims that this function is a hack, or a hidden/secret feature, it’s actually referenced in the iOS 10 User Guide. 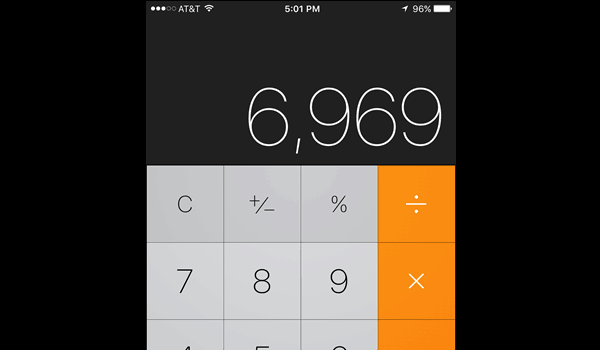 To delete the last digit you input, swipe left (or right) across the calculator’s display. 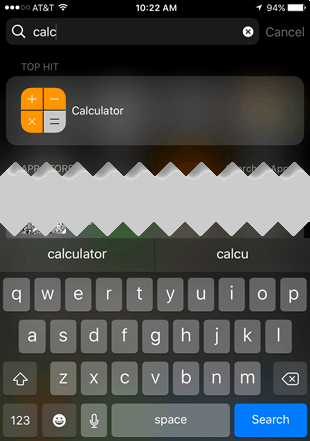 To turn the standard calculator into a scientific calculator, rotate your iPhone from portrait to landscape. Use the scientific calculator for exponential, logarithmic, and trigonometric functions. 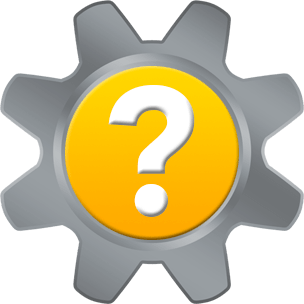 The much more difficult task is figuring out how and when to use the extra keys. There is a handy guide for the scientific calculator keys in an old iOS manual which still applies today. To copy from the calculator’s display, or to paste into it, double-tap the display and choose either Copy or Paste. Thank you for visiting Tech Help Knowledgebase to learn how to backspace on your iPhone calculator app. If you liked this article, follow us on Twitter @techhelpkb and subscribe to our YouTube channel to keep in the loop.